There’s never a convenient time for car maintenance. Too many car owners choose to ignore early warning signs of potentially serious mechanical issues, which in turn can lead to costly repairs. Fortunately, by following a basic maintenance schedule, and especially your car manufacturer’s recommended schedule for maintenance, you can count on our car to run reliably for years to come. What follows are just some of the things drivers may ignore or not think about when it comes to keeping a car happy and running smoothly. For more answers to your questions about car maintenance, contact the experts at Colony One Auto. How You Know Something is Wrong: If while driving you feel like your steering wheel is pulling to one specific side, you almost definitely need to have your alignment inspected and adjusted. Unevenly or abnormally worn tires are also a warning sign something may be wrong with your alignment. When to Schedule Maintenance: Modern cars are designed to withstand a lot of wear, but between potholes, speed bumps and tiny curb collisions, your alignment can get put to the test more than you might think. As a general rule of thumb, your alignment should be inspected and (if necessary) adjusted every 15,000 miles or if uneven tire wear or others symptoms appear. How You Know Something is Wrong: While some cars have an alternator warning light, there are other ways to tell a problem may be starting. The smell of burning rubber accompanied by growling and whining sounds may signal alternator failure. Dimmer headlights or other electrical problems are also signs your alternator may be struggling. 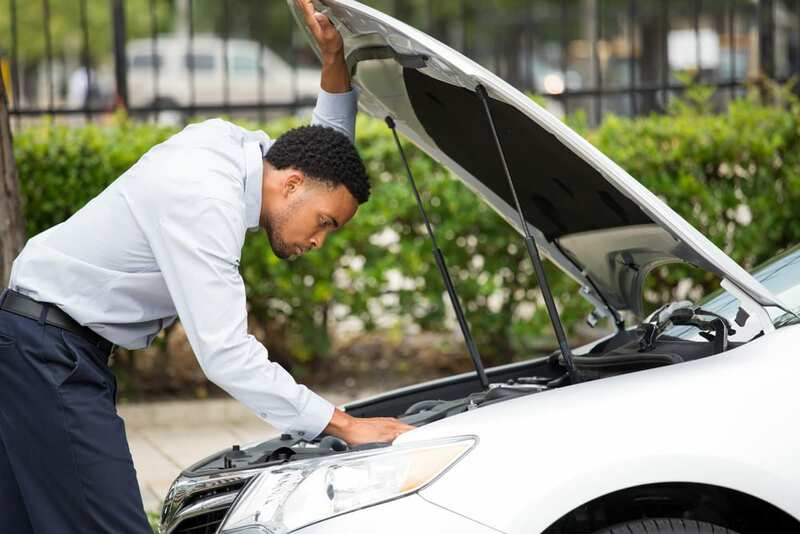 When to Schedule Maintenance: While most alternators will need repair over the course of a vehicle’s life, they typically last several years, barring malfunctions or other unexpected problems. To help keep your vehicle running, ask your service technician to test your alternator during routine maintenance or inspections. How You Know Something is Wrong: For better or worse, the warning signs for brake problems are not hard to detect. If you hear squeaking or grinding sounds as you stop your car, you may need of new brake pads. Replacing brake pads is much less expensive than your average brake repair, so don’t delay in pursuing repair. Another tell-tale sign is pulling, vibrating and/or reduced responsiveness upon braking. When to Schedule Maintenance: The wear and tear on your brake system depends on your driving habits. It’s a good idea to have your brakes inspected about every 10,000 miles to make sure they’re in good shape. Remember, if symptoms begin to appear, get your brakes checked right away to catch problems early. How You Know Something is Wrong: Oftentimes, if something is wrong with your A/C, your nose will be the first to know. Be mindful of musty smells that occur when the A/C is on, as it may mean mold is beginning to grow in your system. Your nose isn’t the only way to detect cooling issues, your ears can pick up on warning signs as well. Be mindful of any banging or rattling sounds when the A/C is on, as this may indicate mechanical issues or a failing component. When to Schedule Maintenance: How often your car’s cooling system will need to be inspected is largely dependent on its age. While a new car’s system should be in good shape for up to four years, an older car may benefit from an annual checkup during inspection. How You Know Something is Wrong: Periodically inspect your tires’ tread and sidewalls for evenness, excessive wear, and other damage. Most tires manufactured in the U.S. contain helpful “tread wear bars” that become more visible and even with the tire’s tread with wear and tear, once they are flush with the tire, it is probably time for replacement. If you’re not entirely sure what you’re looking for when you inspect your tread, it’s hard to go wrong with the classic penny test! Simply stick a penny into the tread of your tire, and if you can only see the very top of Lincoln’s head, it may be time for a new tire. When to Schedule Maintenance: Tires require different types of service at different intervals in their lifespan. Tires should be rotated every 3,000-6,000 miles, and balanced every 12,000-15,000 miles. While the overall life of your tires will depend on your driving and maintenance habits, tires will typically last for 30,000 -50,000 miles. The most important thing you can do to keep your car running is to follow your vehicle manufacturer’s recommended maintenance schedule. Colony One Auto’s certified technicians provide factory-scheduled maintenance for all types of vehicles. Our shop has won the Blue Seal of Excellence from the National Institute for Automotive Service, and it doesn’t take long for our satisfied customers to see why. For auto repair and maintenance services, contact Colony One Auto today. Your car will be glad you did.